To splurge? Or not to splurge? If you have ever asked yourself this while holding that super expensive makeup product in your hand, then you know all to well the struggle to find quality makeup products while on a budget. Some beauty products are worth the splurge while others are not. So before you break the bank, take a look at these two hidden gem websites that carry amazingly awesome products that I know you budget babes will love. First up is bh cosmetics. If you’re into youtube makeup tutorials then theres a good chance you have heard of this website. I heard of it through the youtube makeup community and have been hooked ever since. This websites offers a wide range of products from eyeshadow palettes, lipsticks, blushes and everything else makeup. The first thing I ever purchased from the site was the 120 color eyeshadow palette. 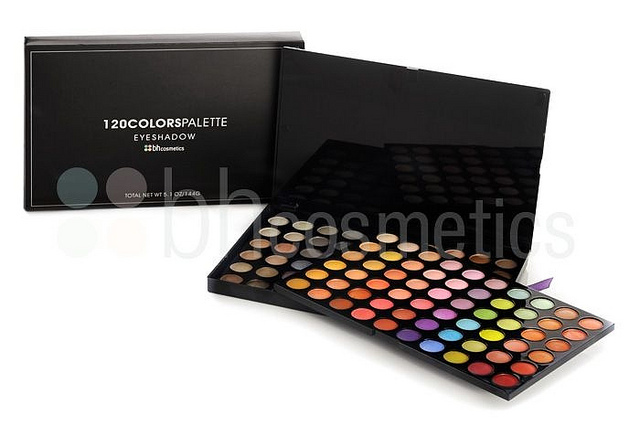 Yes, that’s right 120 eyeshadows packed into one palette– how convenient! 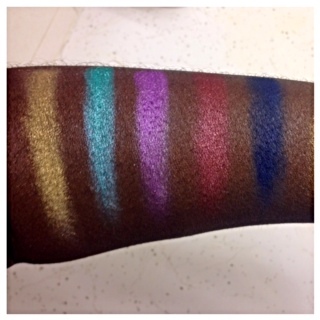 Here’s a look at the palette. This is pretty awesome color payoff for just $14.95! But If you are hesitant about buying the products, go ahead and follow them on instagram at @bhcosmetics where they are always giving away free products to lucky followers. This magic little tool blends my concealer perfectly! 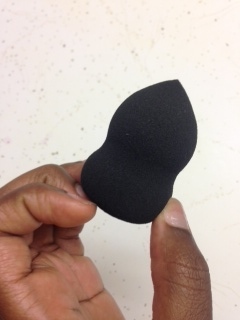 When using the makeup blender with my concealer, I simply tap the blender along all the areas I applied the concealer until there are no harsh lines. You can also use this blender to apply your foundation. Ladies, at just 1.95 each why not?! We all love makeup but sometimes not enough to spend a ton of money on it. These websites will have you looking nice at a great price. Note: This post is not sponsored. All thoughts are unbiased and my own. All photos are my own unless otherwise credited.